E. Branden Hart: First, thanks for taking the time to answer some of our questions. You sent us your recently self-published novella, The Waiting Room, for review. In The Waiting Room, a young man is killed in a brutal car accident, and spends the next fifty years in a limbo-like place called the Waiting Room, where he watches his wife mourn his passing, get married again, have children, and grow old. I won’t ruin what happens next, but will ask: what inspired the idea for the story? Alysha Kaye: It’s kind of crazy, actually, because I dreamt of the room—I was the one who was killed in a car accident, staring out a huge window, watching my boyfriend and family mourn. I woke up and immediately had to write about it. The first thing that seemed to pour out of me was a cheesy love poem about reincarnation, but eventually, the first chapter peeked its head out. EBH: One thing I enjoyed about The Waiting Room is that it alternates POV between a male and female protagonist. As a female, what was the most challenging thing you found about writing from a male’s perspective? AK: Thank you! A lot of people were skeptical about that—they wanted to solely follow Jude OR Nina, not both. But I felt like the story called for both perspectives—especially since they both wait for each other in the room for years. I definitely caught myself writing things in the Jude section that did not at all mesh with what he would say. I’m sure there are still bits in his perspective that should have been tweaked. But I tried very hard to put myself in a man’s shoes! What would my boyfriend say? What would my dad or uncle or friend do? EBH: Before we delve too deep into The Waiting Room, I have a couple of questions about your writing style. What authors or artists have the biggest influence on you? AK: Countless authors. But when I started writing the novel, I had just finished reading Audrey Niffenegger’s The Time Traveler’s Wife. I had never been so emotionally attached to characters or a fictional love before! I wanted to create that same heart-wrenching reading hangover for my readers. EBH: When did you first start writing? AK: I was so young! Being an only child, I needed a creative outlet for my over-active imagination [laughs] and reading/writing was it! I would fill up notebooks and notebooks with stories. EBH: When you write, what do you use the most: Word processor, typewriter, or pen and paper? AK: Word or pen and paper, depending where I am or what I’m writing. For some reason, I can only write poetry in a notebook. EBH: About how long did it take you to write the first draft of The Waiting Room, and how long did it take you to polish it and get it ready to publish? AK: I wrote the first chapter in a week and that sat on my laptop for a couple years. Then I finished the remainder in a very quick few months—I was typing furiously during my marketing job. I had an awful cubicle job and they only gave me about an hour’s worth of work to do for every eight hour shift. So I decided to finish the novel! Then that sat on my laptop for another couple of years before I finally decided to pay for a decent edit. I figured it had already been collecting dust for long enough, so the editing and polishing process was fast—it was ready to publish after a couple months of editing and graphic design for the cover. It’s been a whirlwind! EBH: As a self-publishing author, can you give us a little bit of an overview of what the process was like for you? For example, did you hire an editor to look over The Waiting Room once it was completed? 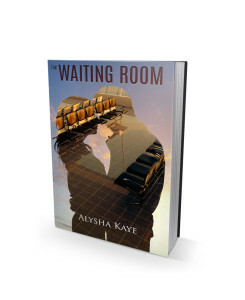 The Waiting Room, by Alysha Kaye. AK: I hired one company to do everything—Expert Subjects is a great one-stop place for authors. They provided me with an amazing editor, graphic designer, and website designer. 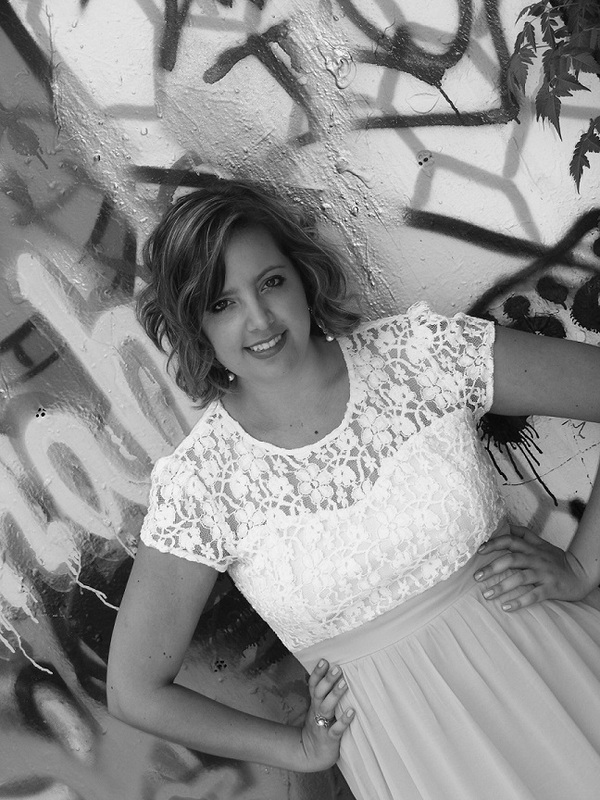 EBH: For self-publishing authors, a solid marketing strategy is a must. Tell us a little bit about yours and how it has (or hasn’t) worked to help spread the word about The Waiting Room. AK: Self-marketing is exhausting! I made the dreaded move over to Twitter but am now addicted to tweeting! It’s insane how much social media has helped me out! I’ve found the most supportive readers and fellow writers through Facebook, Twitter, and WordPress. EBH: Back to the story. Jude and Nina are designed as a couple with a love that transcends time and the rules that govern the rest of us. And yet, their relationship is still flawed. Is this a reflection of your own thoughts regarding what makes up a “perfect” relationship? AK: Definitely. I don’t think you can have a huge, beautiful, amazing love without that other side of the coin—the fighting and driving each other nuts but still being crazy about each other! EBH: In the book, the nature of the Waiting Room itself evolves, much like Jude and Nina’s relationship evolves over time. How much of the Waiting Room was a reflection of the journey Jude and Nina were taking together? AK: You are the first person to catch on to that! To be completely honest with you, both the room evolving and the characters evolving was something that just naturally happened as I was writing. It wasn’t pre-planned, but just seemed like the obvious path for me as I was writing. EBH: We never really find out who is in charge of the Waiting Room—that is, we don’t find out whether it’s God, or several gods, or some completely different power behind it all. What impact did your own religious beliefs have on the story? AK: That was intentional—I wanted readers to be able to determine for themselves what they wanted the room to mean. I am a big believer in NOT pushing beliefs on anyone else. I love the idea of reincarnation, but I don’t believe in it. I hope I am proven wrong. I hope I wake up in a room, waiting on the love of my life to join me! EBH: There is a varied parade of characters who Jude and Nina meet in the Waiting Room. One of the things that I liked about the book is that even the minor characters were distinct, unique people with their own backgrounds, mannerisms, and goals in life. Were any of the minor characters based on people you know? AK: I used a lot of names from my life—like Jake Reynolds, who is my personal favorite character, is my cousin’s name. But my cousin is not at all a womanizing surfer [laughs]. Jude has a lot of similarities to my ex-boyfriend (the one I had the dream about). But that’s about it! I definitely insert so many things from my life into my writing, but I don’t think any of the characters are solely based on a person from my life. EBH: Now for some more personal questions: You’re a teacher, which I can identify with, as my wife is also a middle-school teacher. But I’m curious how you find time for writing, marketing, and everything that goes with being an aspiring writer. How do you fit it all in? AK: Go teachers! I make sure to get all my work done at school so that when I come home, I can write. That’s easier said than done though [laughs]. Teaching is so exhausting, as I’m sure you know. So it’s VERY hard to stay dedicated to the craft. It’s much easier to let wine and Netflix take over at the end of a long day! EBH: Have any of your students read your work, and if so, what did they think? EBH: Do you dream of being a full-time writer, or do you always want to teach as well? AK: That’s a tough call. I love teaching (quite possibly just as much as I love writing), but I know that I won’t be able to handle the stress of this job for 30 more years. I have so much respect for veteran teachers. I’ve only been teaching for four years, and it takes a toll on you! EBH: If you could ask for a single piece of advice from one person, living or dead, who would it be and what would you ask them? AK: I would ask Amelia Earhart what she thinks the meaning of life is [laughs]. I have a strange obsession with Amelia Earhart. I just think she’s a badass and I want to know what happened to her. Blame my third grade project. I dressed up like her. It was a big deal. EBH: You’re given the opportunity to have dinner with one living writer. Who would it be and where would you eat? AK: Mark Zusak. My apartment. I’d cook my I’m-trying-to-impress-you stuffed peppers and I’d probably hit on him. EBH: If you were stranded on a desert island and could only take one book with you, what would it be? AK: Ah! Probably one of the Harry Potter books. The fourth one, most likely. It makes me happy. EBH: If you could give one piece of advice to aspiring writers, what would it be? AK: Don’t let others knock your dream down! Saying you want to be a writer WILL produce laughs and scoffs and eye rolls. Just ignore and keep on keeping on. EBH: What’s next for you—any other projects in the works we should be aware of? 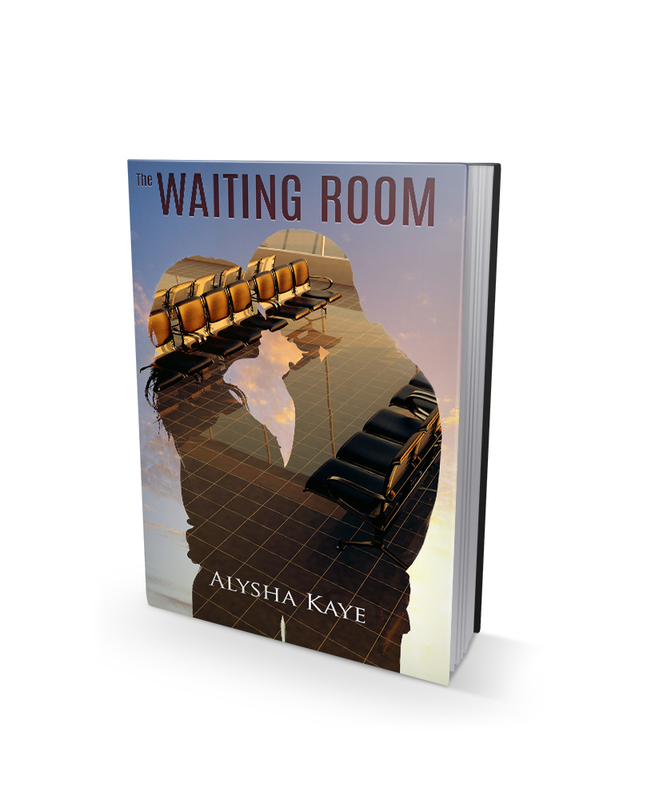 AK: I’ve written one chapter of a realistic fiction novel…but I already miss the fantasy/paranormal aspect of The Waiting Room. So I’m not sure what I’m going to do now!